Do you need to worry about pruning pentas plants? Pentas in frost-free regions are perennials and can grow leggy if left untrimmed. 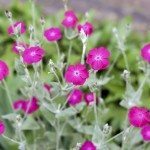 For information about pentas plant pruning, including tips on when to cut back a pentas plant, this article will help. Pentas can add a splash of color in the garden, or home, just where you need it. This article provides information on how to grow Pentas so you can enjoy these plants year after year.